Bitcoin presents a new type of nontraditional, highly technical, experimental, and global digital instrument to our already complex world. That should conjure excitement, not fear. Intercontinental Exchange plans to begin trading swap futures in 2015 in credit and interest rates based on intellectual property licensed from Eris Exchange. ICE will offer a rival product to cleared OTC swaps. Platform providers are drawing upon experience with high-frequency trading and fintech to create infrastructure for virtual currency exchanges. The newly approved Aequitas exchange wants to correct unfair advantages given to HFTs over retail investors. Competition had prompted TMX Group to plan a similarly minded relaunch of the Alpha exchange. But is the devil in the details? Nasdaq will open a point of presence (PoP) in Chicago, enabling traders in the midwest to connect with the eSpeed bond trading platform as well as Nasdaq cash equity and equity derivatives markets. BATS hires Concannon, a former Nasdaq executive, as it continues to integrate Direct Edge and looks to build upon recent successes in equities and options. CME Group's restructuring will eliminate 5% of the workforce. The most influential time in Rob Park's career was the 10 months it took to take IEX from conception to production. Eris Exchange licensed its swap futures methodology to the Montreal Exchange while setting a record for daily volume in its domestic swap futures contracts, buoyed by new buy-side entrants. Microwave data networks are going mainstream, and will level the playing field for all investors to access critical market data, said CEO of GTS, which entered a deal to sell StrikeNet to TMX Group. 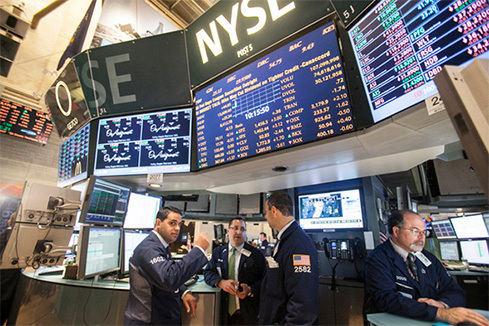 Statistics from the World Federation of Stock Exchanges show that equity trading volumes rose 10%, signaling a strong recovery for the first half of 2014. Certifying an exchange client is a lengthy process that can be made easier with automation. Today, Nasdaq OMX announced an exclusive relationship with MasterCard to distribute its detailed reports on consumer spending activity to the buy-side community. Friedman is leaving the Carlyle Group to return to Nasdaq OMX, where she is reportedly a candidate to become the next CEO. In 2013 Intralinks saw a 99% increase in the total number of actionable M&A opportunities hosted on the platform. Deal volume is on track to double again in 2014. A diverse team of designers at Nasdaq see user experience as a strategic differentiator. Requiring brokers to provide more transparency into their stock order routing practices would give investors more information on where their trades are being executed. 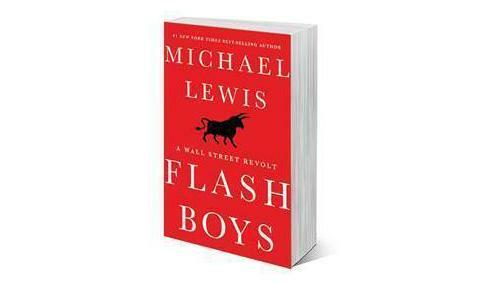 Michael Lewis' new book "Flash Boys" has whipped up a furious tornado of criticism about high frequency trading. But the market and regulators need to resist the urge to ban the practice and instead embrace the notion of high frequency monitoring and surveillance. If you are still slogging it out over HFT, you are missing the point. The real debate is about market structure.